This is Dallas Phillips Alacrity "Sweet Pea". 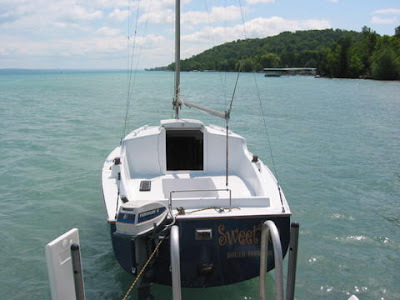 The boat is in Michigan, USA and it is for sale (edit: probably sold long since...). bunks and two cockpit cushions (my sister-in-law is a upholsterer). 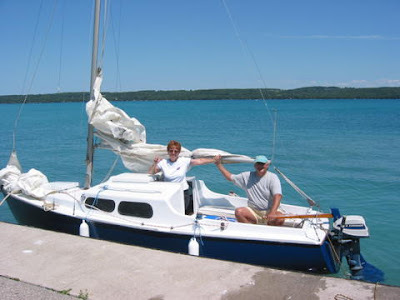 Solas Kit, 2 nice throw cusions, anchor and line."